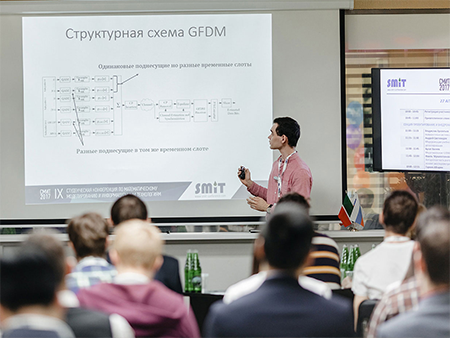 28–29 April 2017, the 9th Student Scientific Conference on Mathematical Modelling and Information Technologies (SMIT) 2017 was held at the Technology Centre of TGT Oilfield Services. 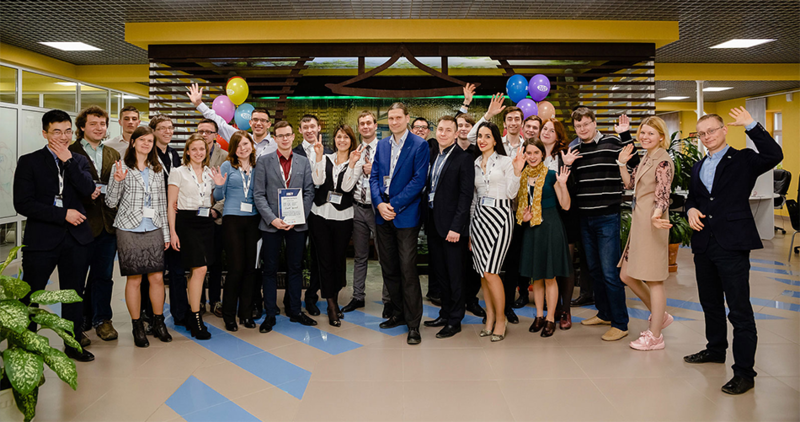 Traditionally, the conference brought together talented students and young scholars from different cities of Russia to exchange advanced ideas and experience in such areas as modelling physical processes and implementing new mathematical methods of signal processing to enable everyone to announce themselves and gain expert opinion on the practical application of their research in Petroleum and other industries. This year jurymen received over 40 abstracts from students representing leading institutions and universities of Kazan, Moscow, Tomsk, Ufa, Ukhta and Novosibirsk. •	Design and technical implementation of signal processing systems. The conference was opened by the Deputy General Director of TGT Technology Center Maksim Gladkiy. In his welcoming speech, he told about the history of the conference, introduced the members of the respected jury, thanked all the participants and attendees for their interest in the event and noted that the conference is developing and raising its level each year. 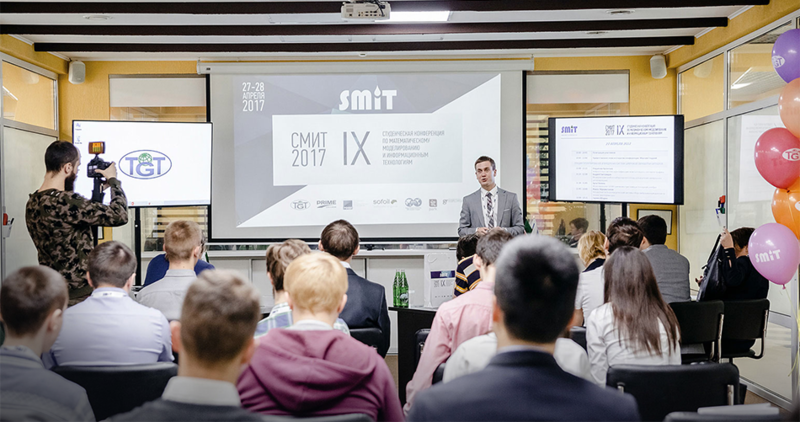 In conclusion of his opening speech, Maksim wished all the participants a successful presentation and declared SMIT 2017 open. The organizers of the event tried to make it as interesting and versatile as possible. Therefore, in addition to the participants’ presentations and interesting discussions during the breaks between the sessions, the following activities were included into the conference agenda, i.e. 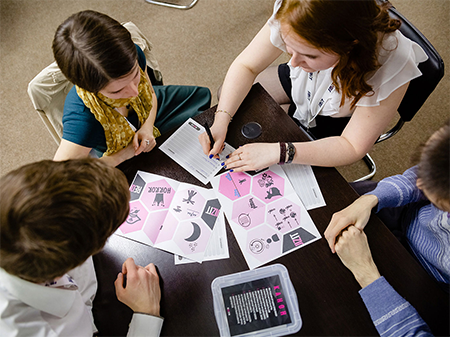 : a guided tour of TGT’s Technology Centre, lectures from the leading specialists of the company, an intellectual game “Battle of Scholars”, Kazan evening tour, and a logical quiz. All the participants willingly took part in an all the above mentioned activities, the winners of intellectual games were awarded with souvenirs from SMIT sponsors. 1	“Mathematical modelling of variations in reservoir properties during injection of a chemically active substance”, by Arseny Egorov, Gubkin Russian State Oil and Gas University, Moscow. 2	“Upgrading a training laboratory test stand for studying synchronous detection”, by Andrey Svetovidov, Kazan Federal University, Kazan. 3	“The hydrodynamic regime of fractures penetrating a homogeneous reservoir”, by Yulia Yakhina, Kazan Federal University, Kazan. •	“Numerical modelling in predicting the performance of high-viscosity oil fields”, by Aleksei Terentev, Ukhta State Technical University, Ukhta. •	“Performance analysis of an integrated development model for the Korchagin oil field”, by Garya Dzhidzhaev, Gubkin Russian State Oil and Gas University, Moscow. 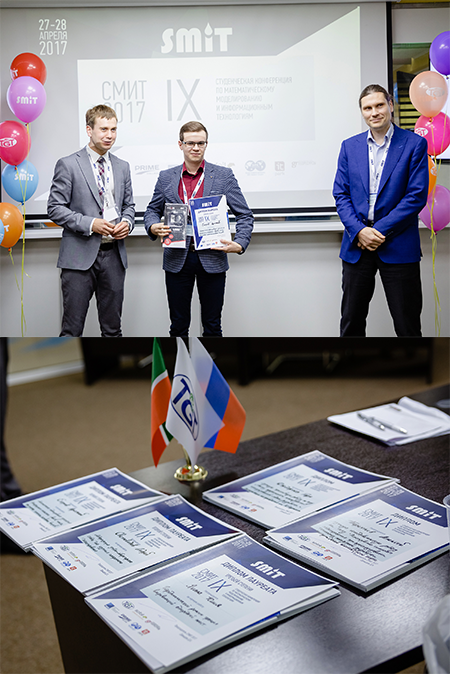 All the conference winners were awarded with diplomas, valuable prizes and employment contracts with TGT as well as the opportunity to publish an article at one of SMIT sponsors: Scientific and Technical Journal “Georesursy” (Georesources), registered in the State Commission for Academic Degrees and Titles (ВАК). Following the awards ceremony, the Closing speech was made by Dmitry Davydov, General Director of TGT Technology Center. He once again congratulated all the participants and the winners of the conference, thanked them for the high level of competence: “Being a member of the jury, I had an opportunity to personally attend each presentation and was pleasantly surprised by the high level of the conducted research, the competence level in the research area and appeal to modern scientific papers. The official part of the event ended with a group photo on this positive note, but the participants didn’t wish to leave it at once, on the contrary they were communicating to each other in an informal setting, sharing their impression of the conference, exchanging contacts as well as discussing with the jury their development opportunities in various scientific fields.